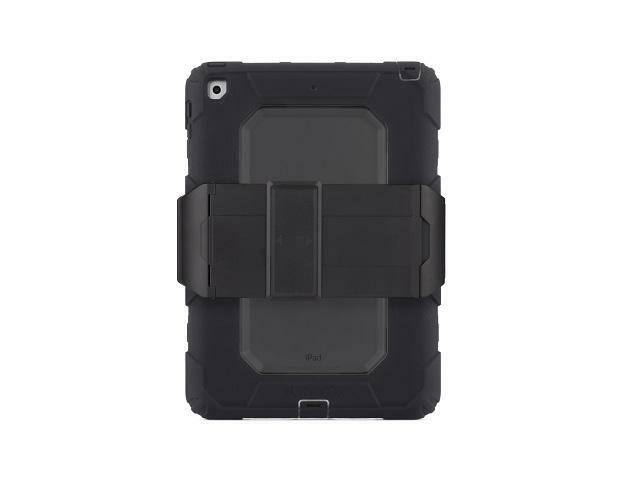 Designed to meet or exceed US Department of Defense MIL-STD-810G, Survivor All-Terrain protects your iPad from 8-foot (2.4m) drops onto concrete. 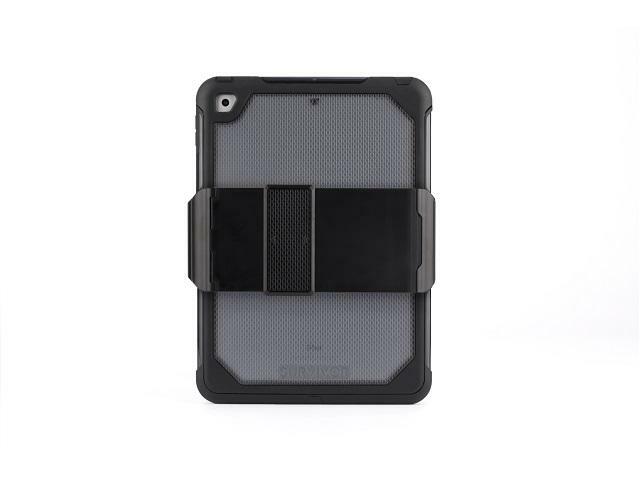 Inside Survivor All-Terrain’s hard shell, its proprietary Impact Dispersion System surrounds your iPad with a silicone ring that absorbs and directs impact forces away from the device. 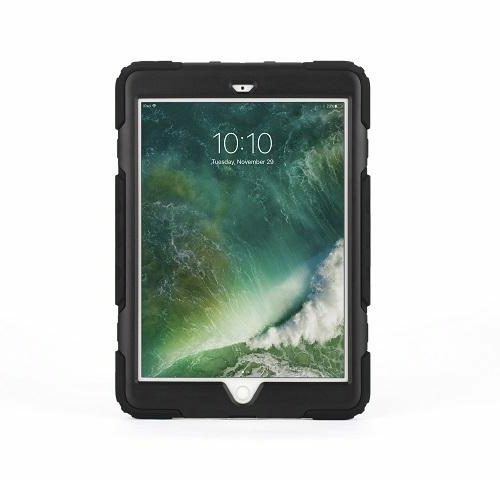 Griffin Survivor All-Terrain Case for iPad 9.7 2017 is thinner and more drop-protective than ever. 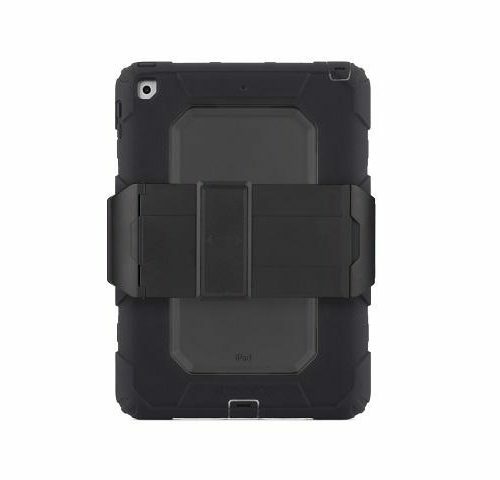 8-foot drop protection – Designed to meet or exceed US Department of Defense MIL-STD-810G, Survivor All-Terrain protects your iPad from 8-foot (2.4m) drops onto concrete. 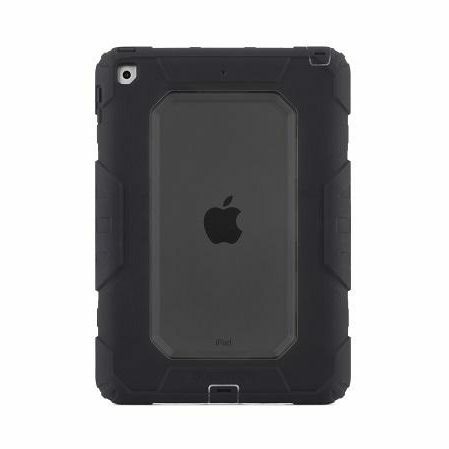 Inside Survivor All-Terrain’s hard shell, its proprietary Impact Dispersion System surrounds your iPad with a silicone ring that absorbs and directs impact forces away from the device. 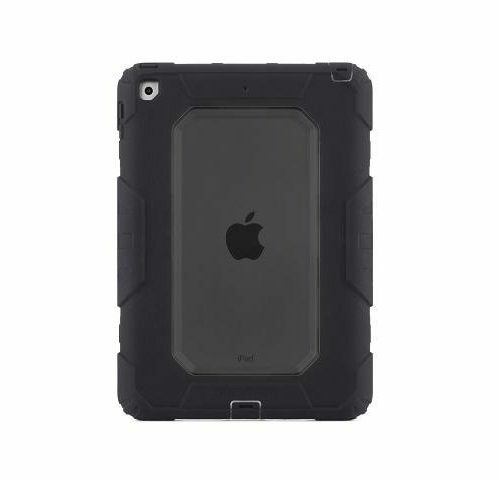 Rain, mud, sand, snow, and dust protection – use your iPad anywhere. That’s why Survivor All-Terrain is completely sealed to keep out dust, sand, rain, and a host of other environmental factors. 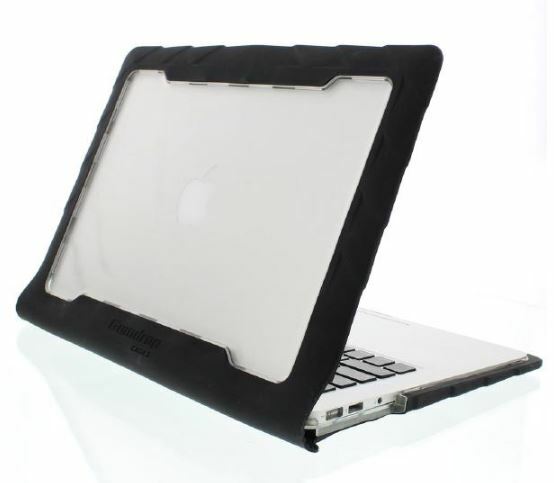 Slimmer protection – You shouldn’t have to sacrifice protection to get a slim, easy-to-use case for your iPad. Survivor All-Terrain has been redesigned to be thinner than other rugged cases. A recessed back and easy-to-grip bumper work together to make this Survivor All-Terrain Griffin’s easiest to hold yet. 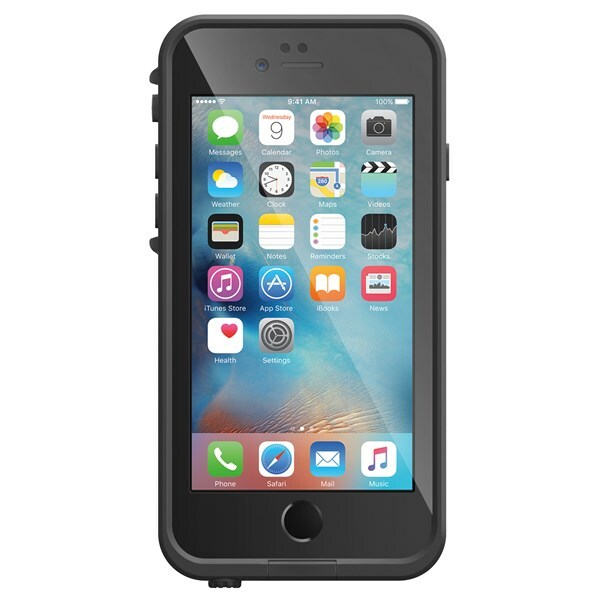 4 layers of protection, one incredible case – Survivor All-Terrain’s 4 layers of protection start with a shatter-resistant polycarbonate frame surrounded by a rugged, shock-absorbing bumper. The HD clarity screen protector snaps on to seal your touchscreen from the outside environment. Volume, power and mute switches are covered. And hinged plugs seal the dock connector and headphone port when you’re not using them. 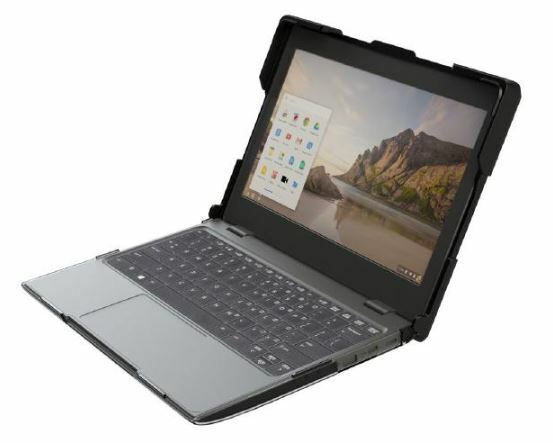 Full function, no compromises? 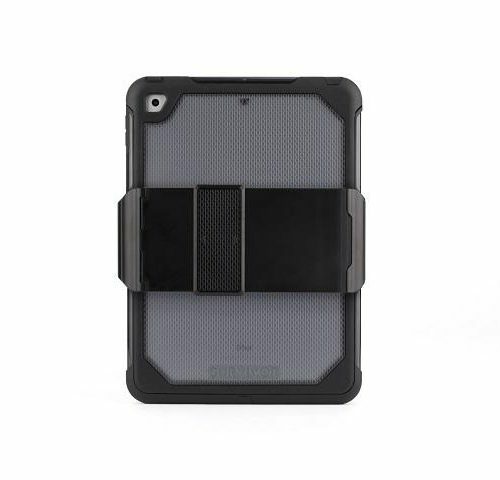 Survivor All-Terrain surrounds your iPad in protection, but never gets in your iPad’s way. Water-proof speaker ports ensure that the speakers sound great. The screen shield is totally compatible with your iPad’s Touch ID sensor AND 3D Touch. And a fully-redesigned clip-on workstand is included; it’s perfect for positioning your iPad for watching videos or typing. 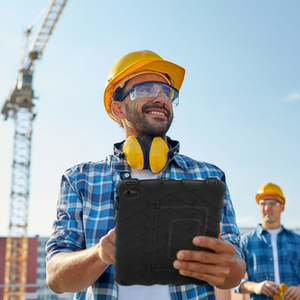 The all-new Survivor All-Terrain for iPad is designed, built and tested to keep your iPad – and you – Ready for Anything.